We were very impressed with the care and professionalism of everyone we have dealt with at Solar Power Corporation. The installation crew was particularly outstanding. I am very pleased I chose Solar Power Corporation. Each question and concern has been answered to my complete satisfaction. Thanks to the entire Solar Power Corporation team who helped me lower my high cost of electricity. 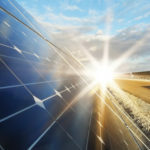 Special thanks also to Solar Power Corporation for providing such a wonderfully easy way to go solar, I have no hesitation in recommending you to anyone thinking of “going solar”. Now the sun is shining and we are producing power. Very exciting. Thanks for all your help along the way. 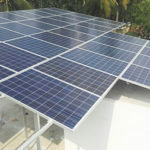 I have been recommending your company and you in particular, to anyone who is talking about installing solar. The service you provided me was pivotal in making make my decision to choose a solar company with confidence. The side by side comparison of technical data and offers was fantastic. I am writing to express my sincere thanks for the help that Solar power corporation has given me in the selection of my new PV system.